Syd is my kiddo who sits are our homeschool table and draws, all day, every day. I ask if she's finished her math and she instead shows me the five pages of mermaids that shes' drawn. I ask to see where she is in her grammar and she shows me fourteen unicorns instead. Will is really into adult coloring books, and both kids enjoy their dad's weekend art lessons, but Syd, in particular, is also very prone to immersing herself in some particular art or craft and spending hours at it every day. For the past couple of weeks, its been the Disney Art Studio sets that I first reviewed almost six months ago. They were popular with the kids for weeks, then got set aside on the playroom shelves, as things do, waiting, as things do, to be rediscovered. And Syd has rediscovered them with a vengeance! Syd found the Palace Pets set confusing at first, because these pets aren't canon to the stories, but it's actually teaching you how to draw different animals, and they're just themed on a princess. 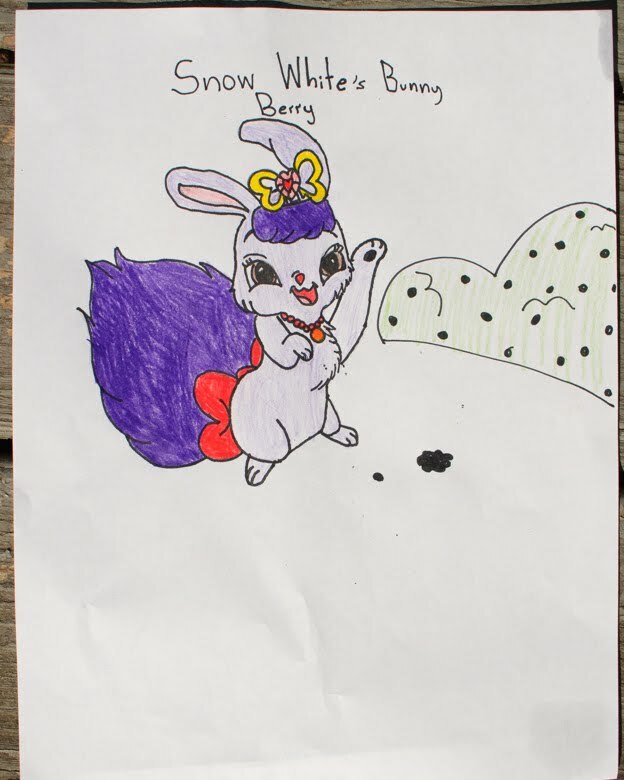 Once she saw that she could now draw an adorable bunny, she was all about it. 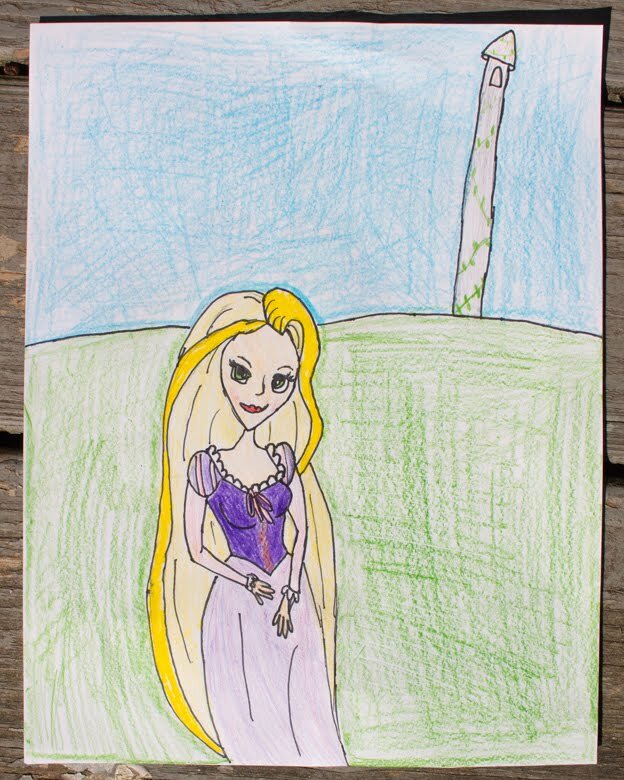 I like the way that Syd draws HER Rapunzel, not the movie version. Matt and I struggle a bit with creating a systematic art curriculum for the kids. Should he do a step-by-step development of certain skills? Teach a lesson every weekend that's related to something that we've studied that week (if so, this weekend he could teach the children how to draw Celtic knots! Or have them study shadows, based on our study of Stonehenge! Or spheres, and do a 3D model of Aristotle's celestial spheres!)? Do a completely separate art history unit? I follow a lot of art teacher blogs, so I know that there are supporting philosophies for all three approaches. For now, though, the approach seems to be, "Oh, you want me to do art with the kids today? Hmmm... what should we do? Okay, how about this totally random thing?" and of course it goes swimmingly and the kids love it. I should probably continue to let it be an impromptu daddy/daughter thing, since it's going so well, but at some point I'm sure that one needs a systematic development of skills. Perhaps not in the fifth grade, though? Or the seventh? Ugh. Feel free to tell me how you handle art in YOUR homeschool! I love that their dad can teach them art! Now we do private art classes for Emma. Her teacher has an actually art ed teaching degree and I feel like she is doing lessons for Emma just like she would for a public class. Each week seems to be a different type of art (next lesson will be soap carving) with the proper words used and some history or other type information thrown in. Emma really enjoys it, but honestly, I was hoping for someone who would help her strengthen the skills she has now, like drawing realistically, because that is what Emma wants to learn. 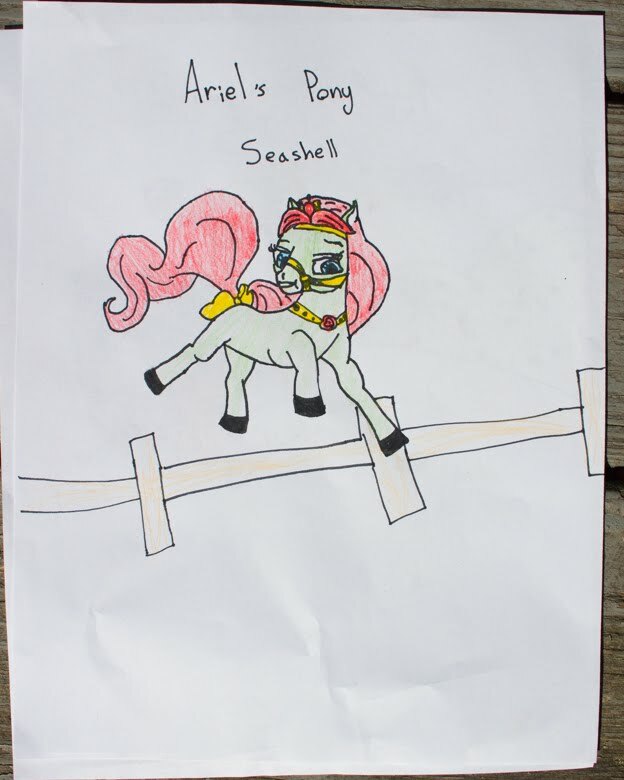 I'm thinking that maybe after a few more months I may ask Emma's teacher to spend a set amount of time on just drawing, or just painting, etc. For sure! I definitely see the point of exploring a variety of media, but I don't see anything wrong with asking her to also spend time increasing Emma's skills in her areas of interest. A couple of mom friends and I are considering hiring a tutor to teach our children Chinese, but we're intending to first choose a children's textbook/workbook and will expect the teacher to teach from that, so that we can expect a clear progression of skills. But then I'd also want the teacher to explore Chinese culture with the children, so they'd have to go off-book sometimes, too. I wonder if that will be asking too much, because working from a textbook and creating your own lessons can be two very different skills. If you have that conversation with your art tutor, let me know how that goes!